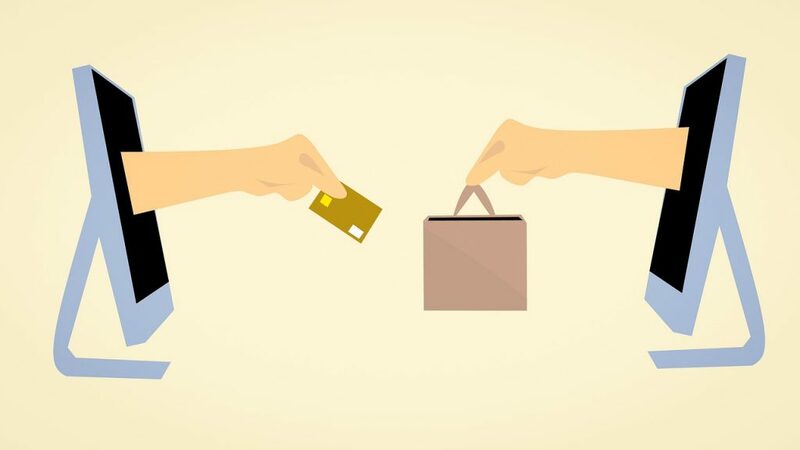 Whether you are moving house, doing a spring cleaning, or accidentally bought the wrong size of something, there are multiple reasons why someone who is not really an “online seller” might want to sell things online. If so, how do you go about doing it, if you don’t really want to manage a “store,” on say Ebay or Qoo10 or something. This article is about selling stuff online, not buying. The easiest places to get started selling personal things online in Singapore are likely Carousell and Facebook Marketplace. Let’s compare a few of the top things you would want to consider when selling online. Facebook Marketplace and Carousell are both pretty fast and easy to use. One main difference is that most people already have Facebook, so you can pretty much just click “sell” and you’re ready to go. 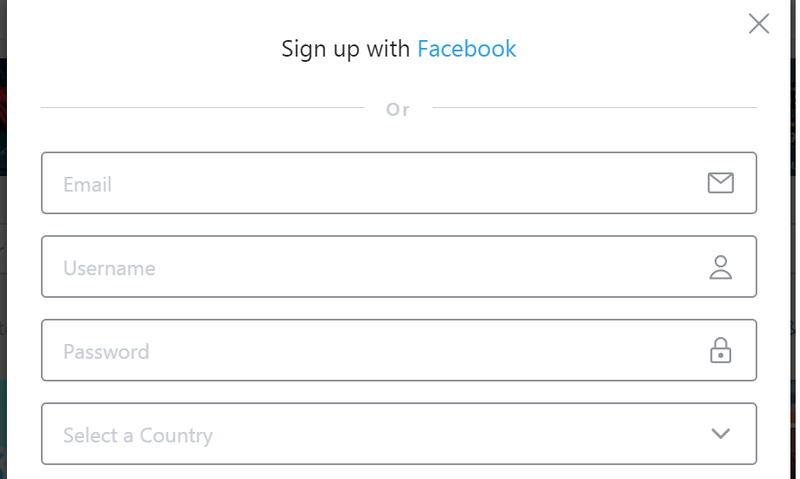 Then again, Carousell lets you login with Facebook, so I think they are both tied on this account. Well, Facebook wins by a landslide here. Carousell still does this really weird thing that only allows you to use square photos. Like… seriously? There are zero cameras / phones that take square photos. Carousell does allow you to adjust the photos on desktop, which is also a bit annoying considering the fact that most people use their cellphones to take photos. However, it seems that enquires from Facebook are “not as good quality.” Perhaps because Facebook makes it too easy to click “I’m interested,” that people just go ahead and click it without even bothering to think if they really are interested. Maybe also because people would be on Facebook even if they are not looking for something to buy, whereas Carousell is strictly a buy/sell platform. Carousell allows you to leave feedback (buyers and sellers) after an offer is made by the buyer and then accepted by the seller. You can rate Positive, Negative, or Neutral, and then leave an additional comment. Based on this, it’s pretty important to make sure an offer is made and accepted before dealing. This goes for both sellers and buyers. Facebook only allows you to leave feedback after an item has been marked as sold. Therefore if someone is selling multiple items in one post and never marks them as sold, you will likely never be able to leave feedback. 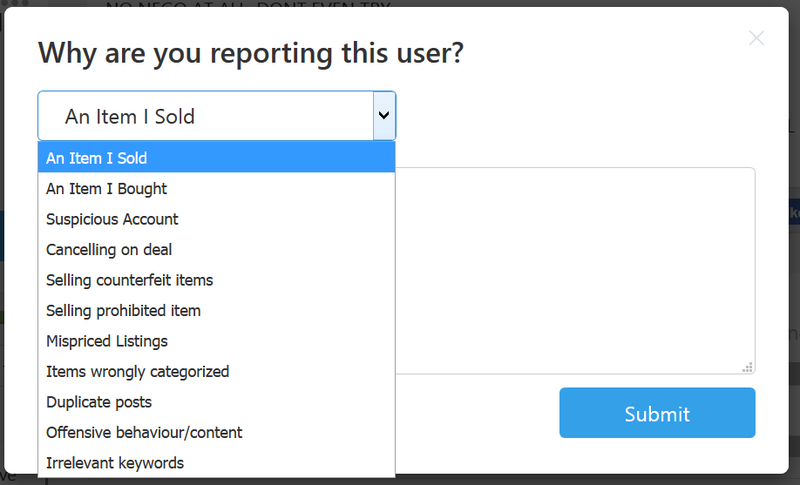 Carousell provides a pretty comprehensive way to report a user if need be, which you can see below. While they are not exactly the fastest to react, they will eventually take action if the report merits it. Yeah… That’s not really helpful at all, Facebook. Have any points to share? Let us know in the comments.